You’re probably aware that sleep is important, but if you’re like most people, you don’t get adequate shut eye. Well, enough is enough. Sleep ain’t a luxury. It’s a necessity for a high-performing body and mind. Sleep is the most underrated performance enhancing drug available to people wanting to lose weight, lean out, build muscle, or improve their strength and athleticism. If you’re reading this website, chances are you aspire to do one or all of those things. You need to read this and implement the steps below. Sleep is essential for memory, focus/concentration, productivity, athletic performance, muscle growth, strength gain, and weight loss. YES, you read that correctly – sleeping more can help you lose weight. There’s a cliche in the fitness world that “you can’t out-train a bad diet.” But I’d wager it’s even harder to out-train or out-diet poor sleep habits. Why? Getting the recommended 7-9 hours of ZZZ’s helps balance your hormones, including cortisol, the stress hormone. Elevated cortisol levels can contribute to weight gain or lack of weight loss, even when you’re doing everything you can to nail diet and exercise. So, too little sleep could be derailing your otherwise perfect efforts to train hard and eat healthy. 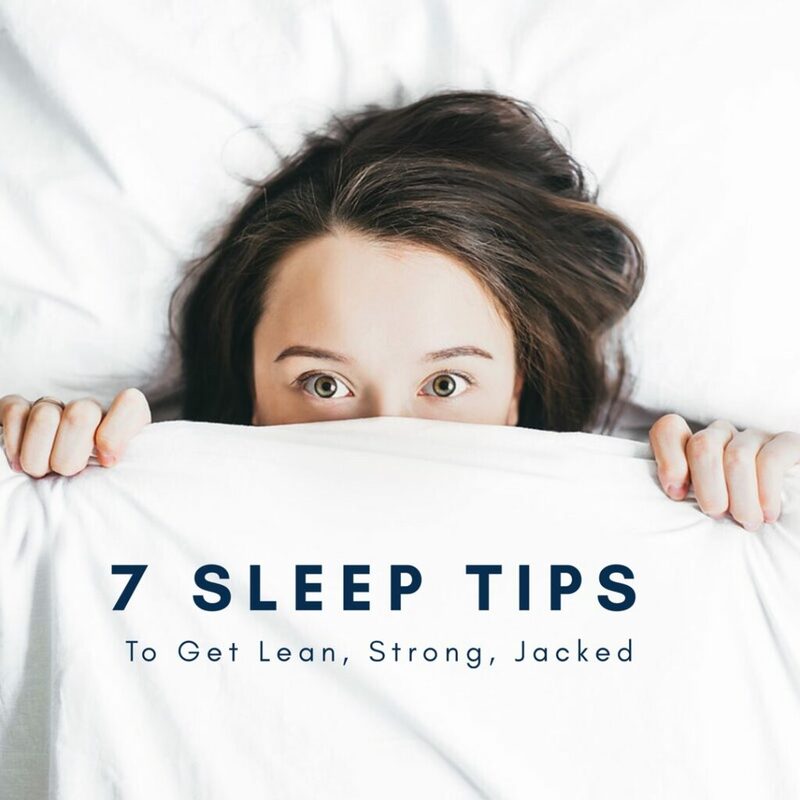 The rest of this article will explain the seven simple steps you can take to get a better night of sleep so you get lean, jacked, and awesome. This one gets a big “duh.” Start by hitting the hay 10-15 minutes before you usually would, and work backwards until you’re getting a full night of sleep. It may take 1-2 weeks for your body to adjust to your new sleep schedule each time you change it. Be patient. Huh? Yeah, getting up earlier helps you sleep better at night because exposure to the red light waves emitted during sunrise play a role in regulating your circadian rhythm. In fact, getting 30+ minutes of sun exposure during daytime hours can also help regulate your sleep cycle. Waking up earlier increases the amount of time you’re able to see sunlight and absorb it – both of which will improve your quality of sleep. 3. Have a bedtime routine. Try to go to bed/wake around the same time each day. Routines help regulate your circadian rhythm and send your body the signal that it’s time for bed. You could take a hot shower or bath to lower your core body temperature; foam rolling helps your muscles relax before bed; drinking a cup of herbal tea is also effective for winding down. Finally, if you have a hard time falling asleep because of racing thoughts and “to do” lists running through your brain, spend 5 minutes writing down all those thoughts before lights out to free your mind for sleep. 4. Optimize your bedroom environment. Ever try to fall asleep in a burning hot room? Not gonna happen. It’s best to sleep in a cool, dark room. Lower your thermostat to 60-67F at night or invest in a fan to keep the space comfortably cool. Blackout curtains and eye masks are clutch for blocking light, but it also helps to remove any electronics with bright indicator lights from your bedroom. 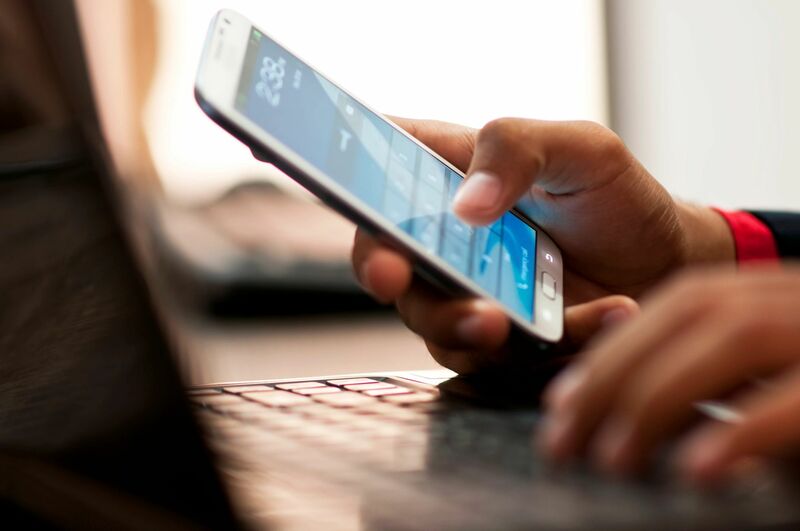 The blue light waves emitted by your phone, computer, tablet screen, and television disrupt your melatonin production, which means you can’t get to sleep when you want to. Turn off your electronics at least one hour before bed. Read a book instead. 6. Exercise – move daily. Aerobic activity performed in the morning (about 1-2 hours after waking) has been shown to improve sleep later in the day. Resistance training has also been shown to enhance REM sleep (the deep, restorative kind) and can be done at any time of the day, although it’s best to give your body 3+ hours to wind down after your workout. Most people are deficient in magnesium, which is a shame because it’s a mineral that helps relax your muscles and can help you drift off to sleep. I like a dissolvable magnesium powder called Natural Calm that’s available at Whole Foods, Natural Grocers, Sprouts, and on Amazon, of course. As a last resort – take melatonin. Pick a low dose (you can always double it if you need to) because overdoing it will leave you groggy the next day. Take the melatonin supplement several hours before your plan to go to bed… it’s not a sleeping pill, so don’t expect an instant effect. Oh, and while on the subject of supplements, there are two things worth mentioning. First, you don’t want to rely on them to get to sleep. Use them only to establish a routine. Secondly, the most commonly abused energy-giving supplement is caffeine. Avoid consuming caffeinated beverages in the afternoon (past 2-3 pm) so that you’re not wired later in the day. *Always talk to your doctor before starting a supplementation protocol. To create the ideal sleep routine for yourself, start by determining when you need to wake up. I recommend rising earlier than you think you “have to” so that you’re not rushed in the morning. Give yourself extra time to mentally prepare for the day or to sneak in a quick aerobic workout. Work backwards from the official start of your work day to determine the best time to wake up, then subtract eight hours to determine your ideal bedtime. 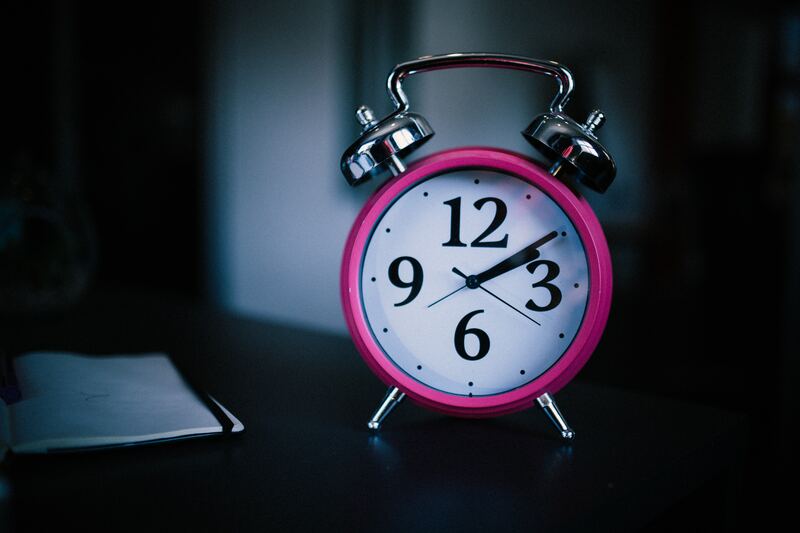 Once you’ve got those times in place, go to bed and wake up earlier in 10-15 minute increments until it becomes habit. 12 pm – Lunchtime. Try to walk outdoors to pick up your lunch, or eat a bagged lunch outside or near a window to get sun exposure that regulates your circadian rhythm. 9 pm – Start winding down for the night with a relaxing activity like a hot shower/bath, foam rolling, or a cup of tea. Write down your thoughts and the things you need to do tomorrow to get them off your mind and clear your head for sleep. Now, will you be able to implement this perfectly every day? No, of course not. Life happens. The key is finding a routine that fits your lifestyle. Establish a solid sleep routine so you get those 7-9 hours of ZZZ’s. You’ll wake feeling refreshed and energized. Your performance at work and in the gym will improve – along with your physique – as a result.